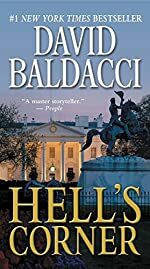 Synopsis (from the publisher): John Carr, aka Oliver Stone — once the most skilled assassin his country ever had — stands in Lafayette Park in front of the White House, perhaps for the last time. The president has personally requested that Stone serve his country again on a high-risk, covert mission. Though he's fought for decades to leave his past career behind, Stone has no choice but to say yes.